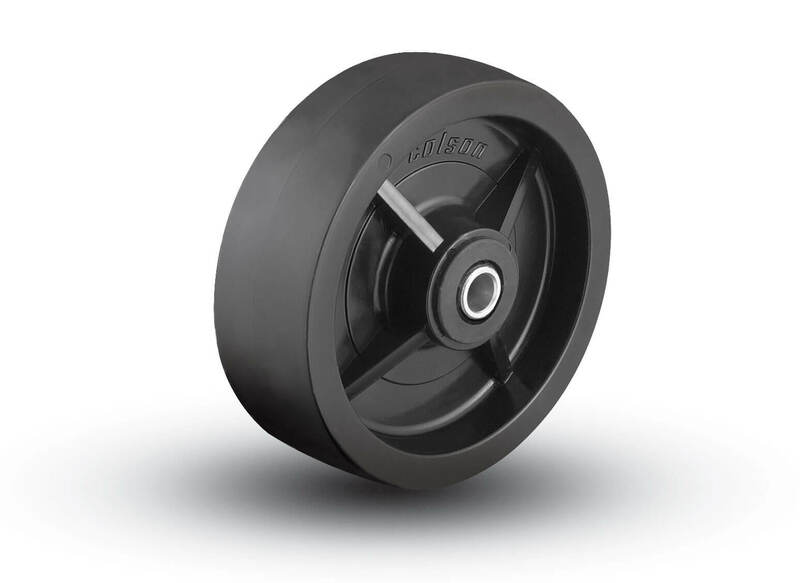 Designed for hard impacts and heavy loads, this wheels is injection modeled from an exclusive Colson Polyolefin compound. Very light in weight, yet impact strength is far superior to hard rubber wheels. Offers superior resistance to most oils, chemicals, grease, solvents and acids. In addition the wheel is stain resistant, non-marking and provides zero water absorption. Used for light and medium duty applications. Hardness: 70(±5) Durometer Shore D scale.